Rumors, myths, and fallacies, passed down one generation to the next, primarily through gossip or oral history. While these urban legends are rarely factual, they do reveal important truths about us; our deepest, darkest fears, for example. Sharing these generational horror stories helps us cope with these fears. Raleigh has many such urban legends, from the well-documented hauntings of Mordecai House and the Governor’s Mansion, to lesser known localized legends. Here are eight picks from the staff at Candid Slice of tales that are rooted in Raleigh culture, places you can visit on just about any night… if you dare! This tale as originally told speaks of a student who died in a grizzly motorcycle crash. His ghost has been spotted for many years looming around the backstage of the auditorium, on the stairs leading up to the lighting area. More recently, his spirit has been reported to roam the entire school grounds, revealing itself to unsuspecting students and faculty on late evenings or very early mornings. Those who have encountered this specter talk of seeing movement out of the corner of their eyes, and having a morbid feeling of dread come over them. Others report feeling a presence that harbors intense feelings of anger or sorrow. Millbrook High School is located at 2201 Spring Forest Road. Before Capital Ford, located at 4900 Capital Blvd, the land and building were home to Alexander Welding & Manufacturing, a company that specialized in building large truck and tanker bodies. Stories from that time tell of trucks being outfitted in the main building moving on their own. Workers would come to work in the morning to discover trucks had been moved from one working bay to another, and there were reports from the owners of actually witnessing trucks moving on their own while stunned workers looked on. Owner Joe Alexander often said, “There goes Mr. Griffon again,” whenever strange events occurred. Even today, at the present day Capital Ford, rumors persist of the “Capital Ford Ghost” still making mischief by hiding keys and tools, and moving paperwork randomly from desk to desk. There are a few stories regarding the old Catholic Orphanage on Crybaby Lane (old Bilyeu St), and much like the location of the remaining cornerstone, the tales are twisted and shrouded in a bit of mystery, myth, and history. A few things seem to be factual. There was a fire in 1958. There is rumor of another fire in 1903, which seems to be backed up by several sources. People who lived near the orphanage once it was abandoned started complaining of the smell of sulfur in the air, years after the fires had stopped burning. There’s a tale of a gatekeeper who guards the entrance to Crybaby Lane, a shadowed figure in the nearby woods. Still other people complained of hearing children’s screams or wailing infants inside the hollow buildings before they were torn down. Thus the ghost stories of the old Catholic Orphanage were born. You can walk along Crybaby lane which starts where Bilyeu St. turns into a wooded trail, and ends at the intersection of Oval Dr. and Main Campus Dr., where the Orphanage once stood. Built in the 1920’s, the Duke’s house was renowned for hosting fanciful parties, where the alcohol flowed freely–after all, it was the roaring twenties! One night in 1927, legend states that a tipsy driver ran off the Ashe Ave Bridge, crashing onto the train tracks below. He was decapitated, and the three young women in his back seat died instantly. The ghost of all three women were said to appear on the Duke’s front porch when the house still stood, visible to passersby. The train tracks are haunted by a headless ghost, the driver, still looking for his lost head. While the house itself is gone, the land is now occupied by the Pullen Park Loft Apartments. You can explore around there or walk along the sides of the nearby train tracks under the Ashe Ave. bridge if you’re up for exploring this legend first hand. In the north-west corner of the beautiful and historic Oakwood Cemetery lays a rather notable angel statue. It has been known as the ‘Spinning Angel of Oakwood’, ‘The Ratcliffe Angel,’ or ‘The Guardian of Oakwood’ and has become the center of some myths and urban legends here in Raleigh. The angel is easily observable, with the statue itself visible from the fence on Watauga Street. Legend tells that at midnight every Halloween the angel’s head spins around 12 times then stops. Other legends regarding the angel are far more subtle. Claims of the angel appearing to completely turn around if viewed at night long enough as if to keep an eye on those watching her. It has also been reported that those visiting the cemetery at night have said to have felt her eyes on them and could actually see her eyes following their movement. Located on Glenwood Ave. in downtown, not only will you find some tasty Mexican food, but also a lot of paranormal activity. Speculation is this haunting may be a result of two deaths in the building. Others theorize the specters may be the remains of four prostitutes murdered by John Williams Jr. in 1995. Patrons and workers alike have experienced whispers, knocks, and other spooky happenings, typically occurring in sequences of three, which some surmise is a mocking of the Trinity. Pretty much every town has its own “haunted crossroads” story. Raleigh’s takes place at what is now the intersection of Millbrook Rd. and Old Wake Forest Rd., where once sat the old Millbrook Cross Roads. 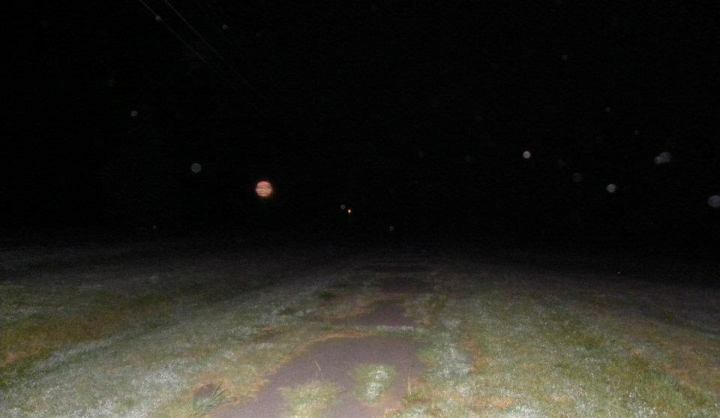 Legend has it that these cross roads are haunted by the ghost of a young woman. She was murdered on her wedding day by a previous suitor, when she happened to come upon him making a deal with the devil. Today it is said that if you drive through that intersection at midnight, you might see her in your rear view mirror, sitting in the backseat of your car. During the period of the Civil War, William Poole was a wealthy mill owner with large tracts of wooded land just east of the city. When Union troops marched into Raleigh, rumor spread among the occupying force that Poole had vast amounts of gold hidden in the woods around his estate. The Yankee troops confiscated all of value from Poole, including his prized horse, but the gold was never recovered. After his death, legend tells that Poole was reunited with his stolen horse and to this day they can be seen galloping through the woods where his estate once stood. Poole’s estate house burned to ground over a century ago, but the tract of land where it once stood can be found between Walnut Creek Amphitheatre and the Neuse river, bounded by Poole Road on the North, and Rock Quarry Road on the South.